Here you can add analog options to your Little deFormer 3 order. 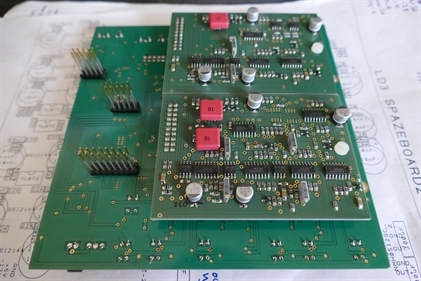 If ordered together with an LD3, the analog options will be installed by Gotharman's before shipping. Analog board with 2 Filterboard connectors, no extra audio inputs and outputs. Filterboards are NOT included in this option, only the necessary connectors and electronics, required to drive 2 filterboards. To add filterboards, please see the filterboard offer below on this site. EUR 380. Analog board with no Filterboard connectors, 2 extra audio inputs (4 in total) and 2 extra audio outputs (4 in total). EUR 290. Analog board with 2 Filterboard connectors, 2 extra audio inputs (4 in total) and 2 extra audio outputs (4 in total). Filterboards are NOT included in this option, only the necessary connectors and electronics, required to drive 2 filterboards. To add filterboards, please see the filterboard offer below on this site. EUR 570. Analog board with no Filterboard connectors, 4 extra audio inputs (6 in total) and 4 extra audio outputs (6 in total). The extra audio ins/outs are added through stereo jacks, with input on tip, and output on ring. EUR 390. THIS CAN ONLY BE INSTALLED AT GOTHARMAN'S! 1: Two parallel lines, each with one 24 dB resonant highpass filter and one 24 dB resonant lowpass filter. 4 filters in total. 4: Two parallel lines, each with one 24 dB resonant highpass filter and one 24 dB resonant lowpass filter. 4 filters in total. 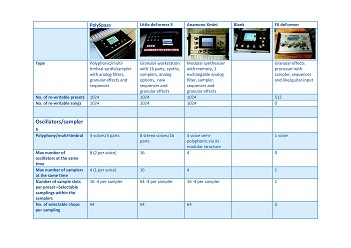 Each of the 4 filter chains can be assigned to any of the 8 audio busses. If more filters are assigned to the same bus, they can be serial or parallel connected to each other. Filterboards are NOT included in this option, only the necessary connectors and electronics, required to drive 2 filterboards. To add filterboards, please see the filterboard offer below on this site. 4x CV in and 4x CV out added to option 1, 2 or 3. EUR 200. 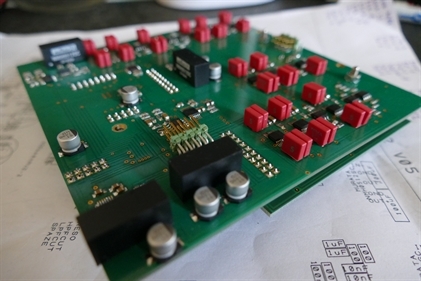 2 Filterboards installed together with the analog board. Any filterboards, except for the SP filter, can be included in this offer. EUR 200.